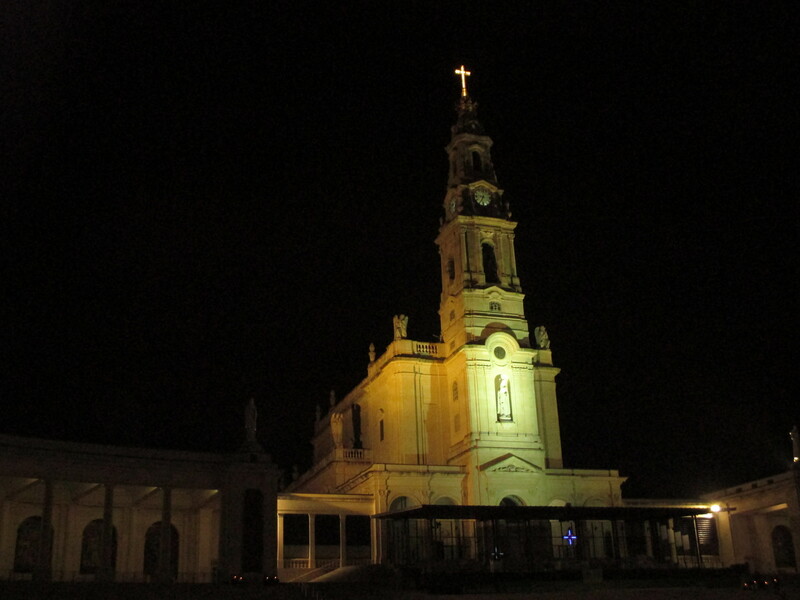 On my recent trip to France, Northern Spain and Portugal, I visited the small village of Fatima, Portugal. This out of the way place was not even on my religious radar as I was unfamiliar with the visions that occurred there. In the early 1900’s the Virgin Mary appeared to 3 young children and gave them prophetic messages to share with the world about World War II and beyond. Two of the messages have already come to pass and the last deals with things still future to us. The children were illiterate yet spoke about things that they could not have known . In addition to the messages, the children were told to pray for the future. Two of the children died several years later, but Lucia lived to become a nun. The Virgin Mary appeared to her many times throughout her life. Prayer for the future and the lost were the central themes. How diligent are you to pray for the events of the future? Jesus instructed us to pray in Matthew 6:10 “your kingdom come, your will be done on earth as it is in heaven” and in 6:13 “And lead us not into temptation, but deliver us from the evil one.’ I am to pray for the things of earth to align with God’s will and purpose. I know He has a purpose for me and desires that my life align with his will. Through prayer the Holy Spirit can minister to our hearts and attitudes so that we can recognize those things that God wants for us in our lives. As we praise God, confess our sins, and thank Him for the blessings that are evident in our lives, we allow God to mold and reshape our thinking and create in us a ‘clean heart’. Psalm 139:23-24 gives us a clue as to the process that God uses to mold our hearts. Search me, O God , and know my heart; test me and know my anxious thoughts. See if there is any offensive way in me, and lead me in the way everlasting. Are you willing to have God mold your heart in prayer? Satan is alive and well on planet Earth and will be until the Lord returns, so we also need to pray for protection from the evil one. God is greater than Satan and is more powerful than anything Satan can throw our way. We just need to be prepared and pray. God promises us battle armor in Ephesians 6: 14-18 so that we can stand firm against Satan’s attacks. Are you wearing the helmet of faith, the breastplate of righteousness, carrying the sword of truth- God’s word, and praying in the Spirit? God wants us prepared for the spiritual battles that come our way. So, suit up and do as 1Thessalonians 5:16-18 suggests. Be joyful always; pray continually; give thanks in all circumstances, for this is God’s will for you in Christ Jesus. (NIV) Then you will be ready and prepared for the future, regardless of what lies in your life’s pathway. The children also heard a plea for prayers for the lost- those that do not know Jesus as their savior. Jesus tells us in John 14:6 “I am the way, the truth and the life. No one comes to the Father except through me.” Acts 4:12 “Salvation is found in no one else, for there is no other name under heaven given to me by which we must be saved.” Pray for open hearts of those you love, that they may hear and believe. Lucia’s first message from The Lady of Fatima was a vision of hell. Not a pretty site and not one you would want anyone to experience. Separation from God would be a horrible fate. The Lady told her to pray for those that do not know Jesus to come to a saving faith. Isn’t that our prayer for the lost too? I am comforted and encouraged that our brothers and sisters in Christ are praying continually at Fatima. They pray and process each evening with their eyes and hearts on the future so that we can be in alignment with God’s will and for those that do not know Christ to come to faith.